This full-color atlas spans the entire breadth of American history, from precolonial times to the present day. Hundreds of vivid photographs, illustrations, and maps combine with graphs, charts, and boxed features to produce a lively, accessible reference. A perfect companion to Atlas of American Military History, this beautifully illustrated atlas contains complete coverage of the cultural, historical, political, and social history of America. Beginning with the earliest settlement of the Americas more than 12,000 years ago, this stunning atlas integrates detailed maps with engaging narrative text. Unlike the competition, Atlas of American History gives thorough coverage of military history as well as migration, social, and religious history. It is divided into 10 chronologically arranged sections and is designed in accordance with the National Standards for United States History. Completely comprehensive and relevant, Atlas of American History includes a final chapter describing key operations in the war on terror. 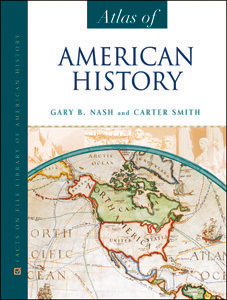 Providing accessible, authoritative coverage, this atlas is the perfect complement to any study of American history. "...scholarly in scope and material...written in lively language without footnotes...an important work and should be widely available to all Americans." "...an attractive book, sure to captivate readers...a welcome addition that can be used as a supplement to textbooks or as a stand-alone resource." "...profusely illustrated...readable text and informative captions." "...an engaging and concise history of the American people from native America to the present...more comprehensive [than the competition]...Libraries and school media centers...will find this a frequently requested work." "...fascinating...a lively and accessible reference."